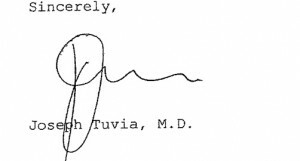 Last Monday, I wrote up the story of Dr. Joseph Tuvia, a local radiologist who seems to have a propensity for vastly differing signatures made under penalty of perjury. And when I say vastly differing, I mean no person in their right mind would think they all belong to him. And I also mean a graphologist that had examined them is ready to swear under oath they didn’t all come from the same hand. Then, as fate would have it, he took the witness stand Thursday in an unrelated matter in the Bronx. When you review 1,000 films a year for litigation, it’s inevitable you’re going to be back on the stand. Runnin’ Scared spoke to Jeffrey Levine, the lawyer who initially noticed the signatures when representing a client in an arbitration with Allstate Insurance. 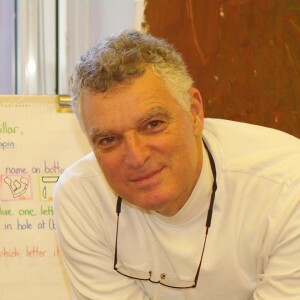 Levine hired a graphologist to test the authenticity of the signatures. The graphologist confirmed Levine’s suspicion: The papers were signed by different people. “Do you really need an expert to see the difference?” asks Levine. The lawyer in Thursday’s case, Ken Ready, brought the articles to court. He put the Village Voice piece prominently on his table so that Dr. Tuvia could see it. Scott Greenfield explains why those signatures under of perjury are so important to the administration of justice, in posting about civil law meeting the criminal law. 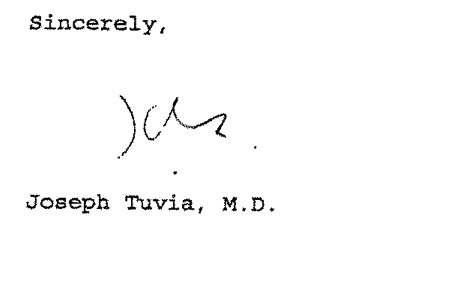 What, exactly, would Dr. Tuvia do when confronted with them on the witness stand? He certainly knew about the articles, as both the Voice and I left messages at his office seeking comment. If he conceded that they weren’t his signatures, he risked prosecution for perjury, or conspiracy with others to commit perjury. If he said they were his signatures, he risked prosecution for new claims of perjury. The criminal defense attorneys that read this blog would likely have all said the same thing: Stay the hell off the witness stand!!! First up, were the issues of a CT scan and an MRI. And he came to court, on behalf of the defendant, to testify without the films. You read that right, he got on the witness stand to testify about films he didn’t have with him, that weren’t in evidence, and with a report that had a signature that differed from his signatures on other reports. Now if you’re plaintiff’s counsel, you have two choices: First, you object to his testifying about things not in evidence. A law student could guess that choice. Alternatively you let him testify and make a fool of himself which may help you in the long run as it exposes the frailty of the defense. Plaintiff’s counsel in this case, Ken Ready, elected to let Dr. Tuvia play the fool. The central issues were whether there was a disc herniation, and if it existed, whether it was caused by the collision, and whether the surgery was necessitated by the collision. And he did this without the films. He testified that the top signature you see to the left, marked for identification at trial as Exhibit 15A, was his. He testified that the second signature to the left, marked for identification at trial as Exhibit 15B, was his. He testified that the third signature to the left, marked for identification at trial as Exhibit 15C, was his. Since there were two signatures there, he had him sign to see which was his, and the “Joseph” that you see on the right side of that third image was the result, looking like neither of the others. He testified that the fourth signature to the left, marked for identification at trial as Exhibit 15D, was his. And yes, he testified that this fifth and bottom signature to the left, marked for identification at trial as Exhibit 15E, was also his. Five differing signatures were marked for identification. And he was questioned under oath about all of them them. Then he added a sixth, “Joseph,” which looks nothing like the other five. He stated under oath that all 5 signatures – one at a time – were his. One of the signatures was off because – as he explained – he was tired. I had him write his name next to his signature on Exhibit 15c because there were two signatures on the page. He testified that there may have been a time or two that someone else signed his name but that it was quickly corrected by him signing later. An interesting note about the documents is that all five are addressed to D&D Associates, one of the “facilitators” (brokers) for the insurance business. 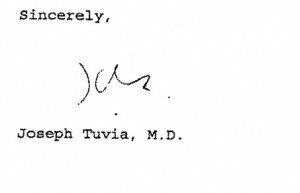 One of the big questions, of course, is that if the differing signatures are not that of Dr. Tuvia, then who wrote them? Is it D&D staff? Is this going on with other “frequent flyer” examiners/testifiers that are part of the insurance industry medical mills? And if not D&D, and if not Dr. Tuvia, then who is signing these reports under penalty of perjury for Dr. Tuvia? Unfortunately, Justice Mark Friedlander, who is hearing the case, didn’t allow them into evidence. They were, as we lawyers like to say, collateral to the case the jury was hearing. But that doesn’t mean the District Attorney might not be interested from the perjury and conspiracy angles. And that doesn’t mean that Department of Financial Services Superintendent Benjamin M. Lawsky might not be interested from the insurance fraud angle. And that doesn’t mean the Office of Professional Medical Conduct might not be interested from the licensing angle. This presumes, of course, that this posting doesn’t stay hidden in my teensy corner of the cyber world. Hopefully, if the prosecutors ever get an investigation up and running, they will see that this is just one small issue of a much bigger problem regarding insurance company exams. I hadn’t expected, frankly, to be continuing this series on quickie medical-legal exams as long as I have. But now that I’ve started, stories keep rolling in about, what looks to me, like clear shenanigans that just so happen to have profound effects on people’s lives. And they are rolling in because we have a very serious problem here in New York. This does not apply to the case of Dr. Tuvia, I think, but the proliferation of credit card digital signature pads has had a profound effect on my own signature. These digital pads are so imprecise that in most cases the best I can render is something nearly almost similar to my actual signature on paper. I at least try to make it “seem like” my signature enough in order to recognize it in a case of questionable charge, but that does not make me feel any more secure about it. The digital pad version is too much easier to forge. Which may be why we, in the US, need to adopt the European system of cards with embedded security chips. That won’t help the good doctor, of course. Please don’t stop dealing with this until a tipping point of enough Big Media reporters cover the hell out of this. Or the matter is finally resolved. So far, you’ve been dead on right about everything. Unfortunately. Please don’t stop dealing with this until a tipping point of enough Big Media reporters cover the hell out of this. Writing about this, it seems, is a lot easier than getting it into the hands of the press. 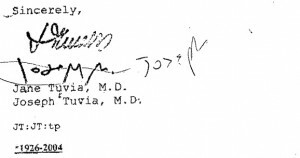 I know doctors have legendarily sloppy handwriting, but I think those signatures fall well outside the bounds of bad penmanship. Although like Old Geezer said, my own signature on pin pads is pretty awful – I usually just write my first name in all caps now instead of trying to sign. This is to be expected. The mainstream media is a lagging indicator. Any number of important topics have been thoroughly and repeatedly discussed in specialist blogs long before the mainstream media stirred itself like an old car on a Minnesota winter morning. If press attention is the goal (and for this topic it should be) then persistence is required. Keep talking about it even after you would rather move on to something else. Or he let them sign for him and never fixed it, if your gonna have someone forge your signature at least make sure they can do it decently. 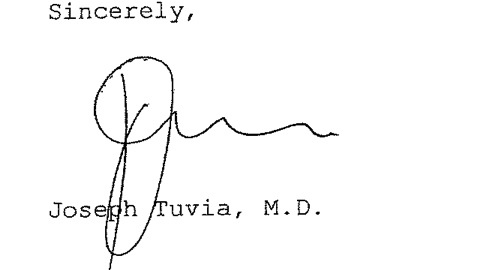 Why would a radiologist let other people, possibly several other people, forge his signature? How is that useful to him? Does it mean that he does not dictate his own reports? 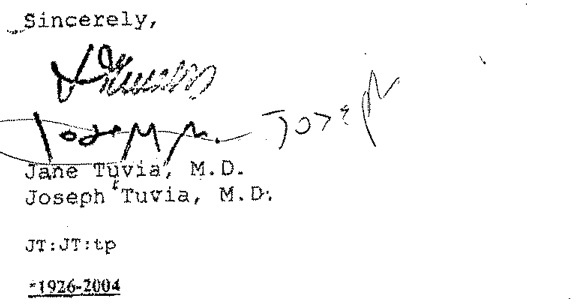 Why would a radiologist let other people, possibly several other people, forge his signature? Maybe he isn’t writing the reports, but some “broker” is doing it?